With Lenovo busy promoting its recent release of small Windows 8.1 tablets including the ThinkPad 8 and the Miix 2 8, the company has been careless as it has inadvertently outed its newest model of the ThinkPad family,the 10-inch ThinkPad 10 tablet, on its Australian website – ahead of official announcement. From what the German language TabTech managed to grab from the official Lenovo Oz website before the fully populated product page was removed, the ThinkPad 10 shows much in common with the already available ThinkPad 8 counterpart. 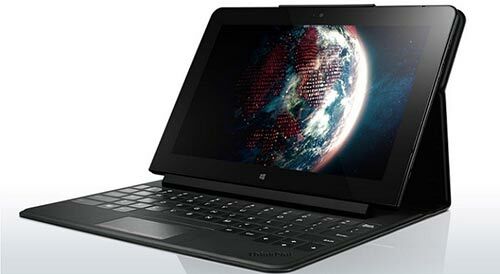 According to the report, Lenovo’s upcoming tablet will also come with Microsoft Office 2013 pre-installed for free. Configurations are also likely to offer LTE connectivity, a fingerprint reader, a smartcard reader, NFC and a stylus. A digitiser is said only to be installed in the versions where the stylus is included. 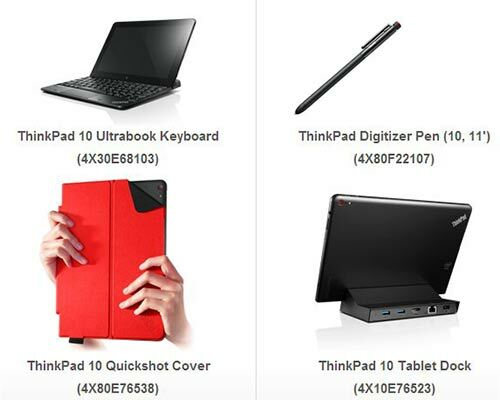 Accessories wise, the Lenovo ThinkPad 10 can be paired with a basic dock, keyboard dock and a keyboard case. Prices and availability haven’t yet been announced by Lenovo, but we can imagine that its official release is only around the corner given the accidental release of the official listing. The price of the device is also expected to be higher than the ThinkPad 8 due to its larger screen and extra processing power. It’s nice to see some more in between sizes for upcoming Windows tablets, we will update you when we have the full press release in hand.